A family of five is forced to survive on their savings after their taxi was stolen and burnt in the early hours of yesterday morning. Shelvin Chand, 31, of Lami, counted his lucky stars after he was allegedly threatened to be killed during a robbery. He spoke about his nightmare of being threatened while he was being robbed and left near Navuso village in Sawani, Nausori. Police spokesperson Ana Naisoro said the Police investigators were working on the case and gathering necessary information. 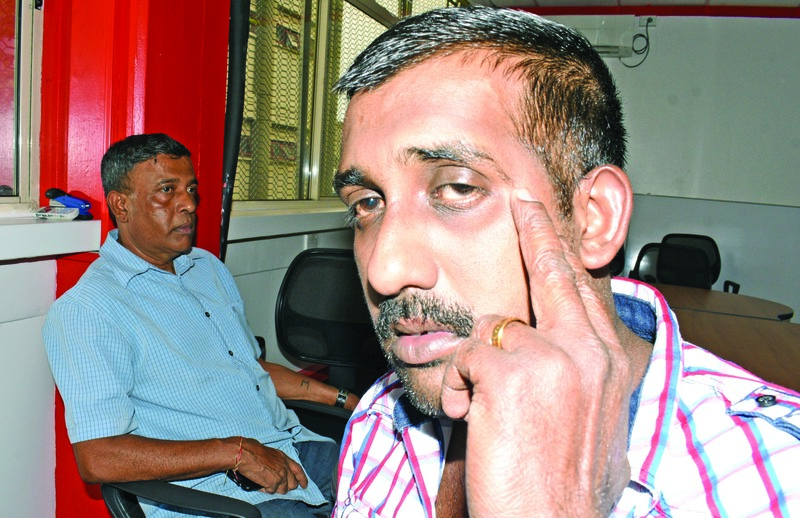 Mr Chand who has been driving taxis for the past ten years; had experienced a life threatening incident for the first time. He recalled the incident and said it was around 10.45pm on Monday night when he picked up a passenger from Village Six Cinemas in Suva and drove down to Navuso to drop him off. “I picked him up and stopped at the market where he went to buy cigarettes. Then he told me to drop him in Navuso in Nausori. “I drove down while the passenger was sitting in the back seat. “We reached a driveway where the vehicle could not go and I informed the passenger,” Mr Chand said. “Straight then he punched me from the back seat and held a knife on my throat. He asked for all the money I had which was $150, my mobile phone worth $200 and my wallet. “He told me if I tried to act smart, he will kill me. “He told me to jump onto the other seat and he jumped in the driver’s seat. “He drove the taxi up to the hill and told me to get off. “I got off and he drove away with the taxi. “I walked from the roundabout of the street to the main road which was about an hour’s walk. “As soon as I reached the main road, a taxi approached. I informed the driver of what had happened and he took me to the Nausori Police Station. “From there, I informed my father who is the owner of the taxi. “My father came down and we went back to the same place where I got off. ‘But we could not find any lead to locate the taxi. “At around 3.30am, we received a call from the Police informing us that the taxi has been found but it was burnt. We came down to see the taxi. “The taxi was our only source of income for my family and right now we don’t have any other choice but to use our savings till we get another car for taxi,” Mr Chand said. Mr Chand had described the passenger wearing jeans with red t-shirt, short and dark in complexion. 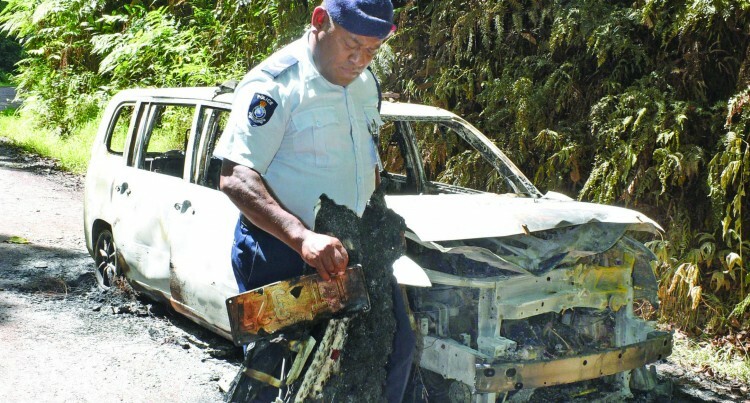 Fiji Taxi Association general secretary Rishi Ram said the drivers need to be more vigilant and refrain from carrying a lot of cash, wear jewellery or carry expensive mobile phones as the festive season is approaching. He said this was the first incident monitored and if such incidents continue, the association will have no choice but to ask the Police Commissioner to put up more check points with officers visible on our roads.